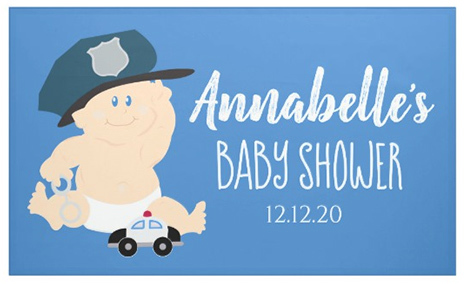 Expecting a baby is exciting, but when it's a baby that will be born into a police officer family, it's even MORE exciting to share the joy with cop baby decorations and a police officer baby theme. This article will share my original "baby cop" design with you, the story of how it started, and then I'll include links to my most popular products in the cop theme. 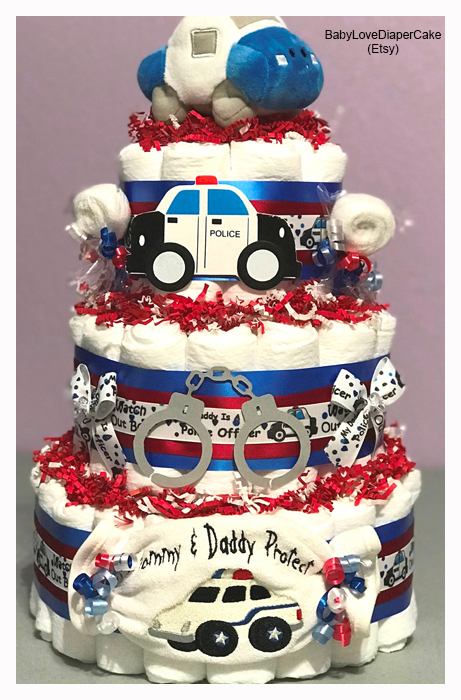 I've also included some links to other sellers' products that I think would be super cute to help tie in the police baby shower theme. At least 10 years ago (or more!) my sister's co-worker was expecting her first baby, and she is also a female police officer. My sis came to me with an idea and asked if I could draw a "baby cop" and print it out as something for her to frame and hang in the baby's room. 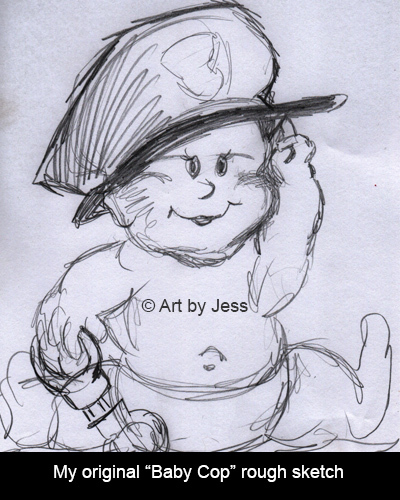 My sketch started out a little rough, but the main idea that my sister had was to have the baby tipping up an over-sized police hat and holding hand cuffs. I drew the baby in a diaper, because I thought it would look super cute to have a little belly button. Once I had the sketch drawn, I scanned it in and digitized it in Adobe Illustrator. My cute little "baby cop" design was born! Many variations have been created from this first design. I've added some darker skin tones and changed the eyes from blue to brown. 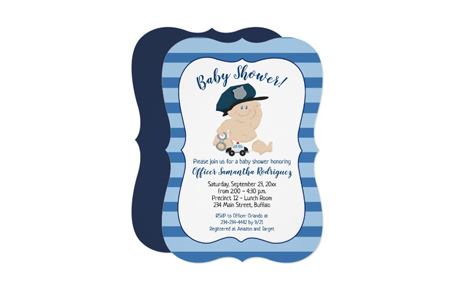 I then created a line of baby shower invitations, and matching items with the baby cop theme. "Guess How Many" game is a fun way to have a raffle at the baby shower. Simply fill a baby bottle, mason jar, or any container full of mints or candy. Make sure to count them and write down the amount. Our guess how many game cards are available as an "instant download" in our shop. Simply purchase and print these on card stock paper. 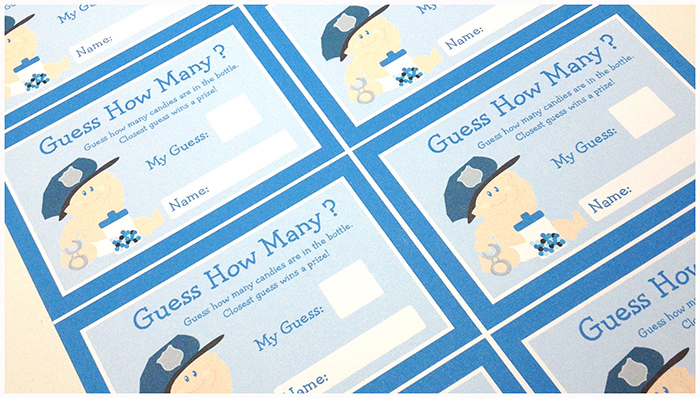 Each individual card can then be trimmed out and handed to each shower guest to write their guess and name on. It's a great way to tie in the theme! I've added a collection of my favorite baby cop products that I've created below. You can click on the pictures to view larger (opens up in a new window). 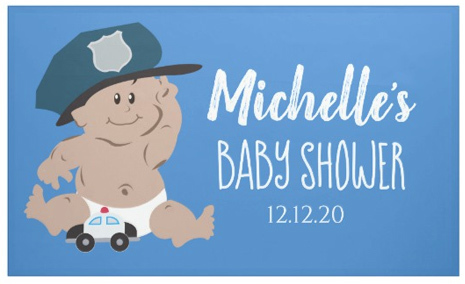 I love that I can offer so many options for police officers and that they can base their entire baby shower theme around this design. Jess is a graphic designer and illustrator with a passion for cartoons. 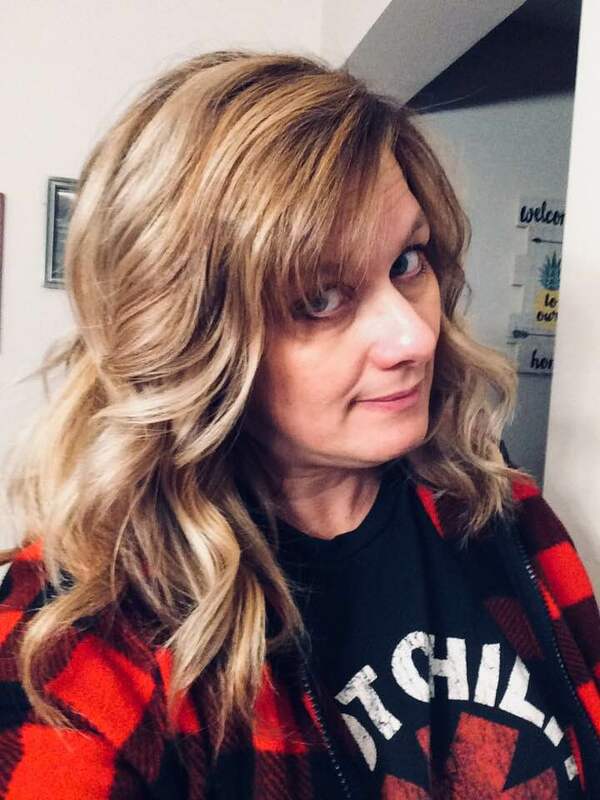 Follow her work all over the web.